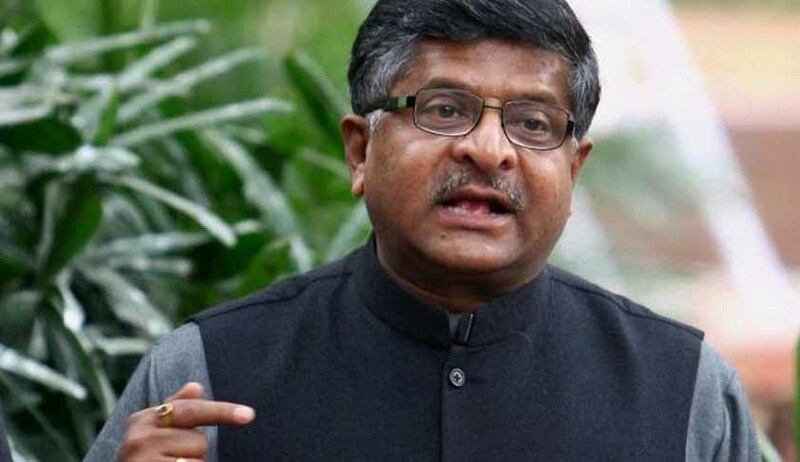 Ravi Shankar Prasad has assumed the charge of the Ministry of Law & Justice, Communications and Information Technology in Narendra Modi led Cabinet on Tuesday. He is the fifteenth person who holds the office of Ministry of Law & Justice. Prasad, who is a Senior Advocate at the Supreme Court of India, has held the position of Minister of State in the Ministry of Law and Justice during the National Democratic Alliance Government under Atal Bihari Vajpayee. Prasad began his professional life as a Lawyer practicing at the Patna High Court since 1980. He was designated as Senior Advocate at the Patna High Court in 1999 and Senior Advocate at the Supreme Court of India in 2000. He holds a master’s degree in political science from Patna University. Hailing from Bihar shifted his practice to Supreme Court he was simultaneously performing as a Senior Lawyer and a senior BJP functionary. While appearing for cases like Bihar fodder scam and Ayodhya cases where his party has substantial interests, he has been appearing for many top corporates . He was a formidable member of legal team set up by Subrato Roy in defending him in the recent Sahara Judgment delivered by Justice J. S. Kehar and Justice K. S. Radhakrishnan. The other prominent cases he had handled includes the Landmark Narmada Bachao Andolan Case, T. N. Thirumulpad v. Union of India, Rameshwar Prasad v. Union of India (the Bihar Assembly Dissolution Case), and Yash Pal's case on medical education in India. As the new Law Minister, Ravi Shankar Prasad is expected to review the retrospective taxes issues on Vodafone and Nokia tax cases. Further his attention is required in rearranging the mergers & acquisitions laws, spectrum trading & sharing in order to boost the global investors. Another key challenge is to reduce litigation in the telecom sector. After assuming charge he said that National Judicial Commission is the immediate priority of the Ministry. Regarding the establishment of a National Judicial Commission he said that the Ministry at present will continue with the existing system and will make necessary improvements whenever it is needed. Regarding the SIT to investigate black-money and Supreme Court granting more time to the government to form an SIT, Prasad reportedly said that the issue of black-money is part of BJP's manifesto. Prasad has also said that increasing the strength of Judges, improvement of Court infrastructure to make Justice more accessible and making India a hub of international Arbitration and Reconciliation Cases will also remain his priority areas. Law Minister discharges very important function in the administration of Justice. In the era of tribunalisation, he holds key to the appointment of Presiding Officers and many Quasi-Judicial Officers. Faced with huge backlog of cases, his immediate concern should be to improve the Judicial Infrastructure in the country. It is a welcome decision on his part to continue with SIT in Black-money Case. The Government has been dragging his feet in the case Black-money. An SIT headed by retired Supreme Court Judge Justice MB Shah has been constituted to investigate in to Back-money as per Supreme Court Orders. Read Live Law Story on Supreme Court direction to reconstitute the Special Investigation Team (SIT) to probe into the matter of Black-money here. Also read other Live Law Stories related to Black-Money Case here.